Successfully Added 3G Wireless Desk Phone - SMS Functionality, 1000mAh Removable Battery, 3G USA Frequencies, 300 Contacts, Missed Call, SMS to your Shopping Cart. A powerful 1000mAh battery brings this 3G desk phone enough juice for up to 6 hoours of talk time or around 72 hours in standby. Easily recharged through the included USB lead you won't have to worry about running out of power. Don't worry about missed calls as this wireless 3G desk phone can recall the last 20 missed calls as well as received or dialed numbers. 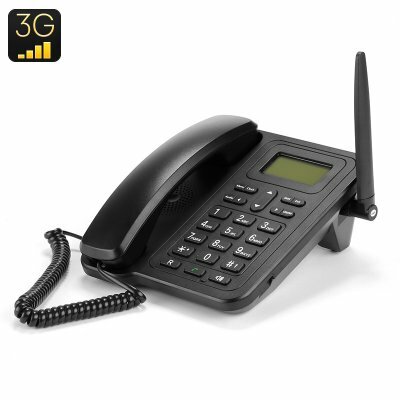 This wireless 3G phone comes with a 12 months warranty, brought to you by the leader in electronic devices as well as wholesale cell phones and desk phones..